Why are little girls so mean to each other? It broke my heart to hear that a 13-year-old Sydney girl, Maddy Milne, committed suicide a few weeks ago as a result of bullying. 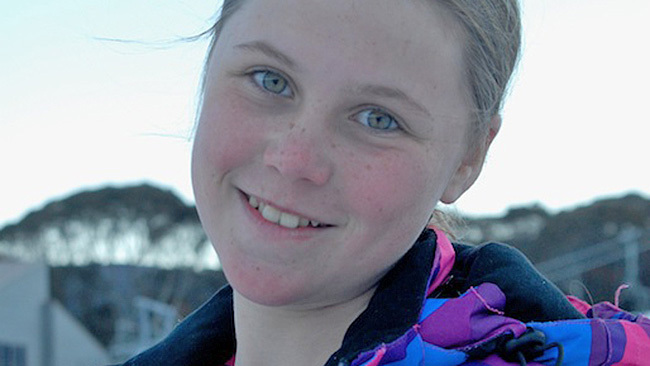 Maddy was a year 8 student who loved drawing dragons, skiing, sailing and snorkelling. But she became withdrawn and anxious earlier this year after being bullied by her classmates. Why are little girls so mean to each other? My daughters are only nine and seven, but we&apos;ve already felt the sting of playground politics in my home. When my eldest was seven, she came home from school smiling brightly. But when I asked about her day, she burst into tears. At lunchtime, her best friend had told her she picks a new best friend every year, so see ya later. Holding her in my arms as she sobbed, I felt so powerless. I wished I could protect her from the slings and arrows of the playground, but I knew I had to fight her own battles. What I didn&apos;t expect was the little girl who spurned my daughter to block her attempts to make new friends. She made up ugly stories and told my daughter&apos;s classmates not to play with her because she was "evil". I contemplated going to the school about it, but I didn&apos;t want to "make a fuss". Eventually, almost a year later, my daughter made a new friend. But many lonely lunchtimes in the library proceeded it. I breathed the most enormous sigh of relief. Then, earlier this year, a boy in her year started threatening her. He kicked a tower of chairs at her on day, said he&apos;d "hurt" and "punch" her on numerous occasions. This time I didn&apos;t hesitate to approach the school. Within hours they acted. The boy was hauled before the deputy principal and made to apologise, both in person and via a letter. I was nervous. I worried he would corner her in the playground and exact revenge. But fortunately the school&apos;s approach seems to have worked and there have been no repercussions. I&apos;ve asked my daughter to remember how awful it feels when someone says mean things. I&apos;ve told her that nothing will make me prouder than if she tries to always be kind. But I worry that there’s something in kids’ natures that makes them want to do unto others as others have done unto them. The pack mentality is so brutal, too – if a kid is picked on, others don’t stick up for them – they might even join in – to avoid being picked on themselves. That&apos;s what happened in the case of Maddy Milne – she stuck up for someone in a maths class who was being bullied and was turned on herself. The teen years seem so challenging, with girls cranking the emotional torture up a notch. I feel helpless, knowing the best I can do is remind my kids what wonderful, worthwhile human beings they are. But trying to compete with negative messages from their peers will be hard. I just hope they are brave enough to accept people for who they are, no matter the colour of their hair, the shade of their skin, the clothes they wear, the friends they keep, the beliefs they have. Because I meant it when I told them nothing would make me prouder than having children who are kind. That leaves grey area around teen pregnancy, truancy, negative body image, alcohol poisoning, drugs. But – call me naive – I reckon there would be a whole lot less of the latter if there was a bit more of the former. Have your children experienced bullying? How did you deal with the situation?